FIDE World Junior Chess Championships 2013 for boys & girls under 20 are taking place in Kocaeli, Turkey, from 12th to 27th September 2013. In the Open section top-seeded GM Yu Yangyi of China defeated the co-leader SP Sethuraman to take a clear first place with 5,5 points. There follows a group of players who all won in the 6th round and are with five points each – defending champion Alexander Ipatov, Sahaj Grover (who won the Indian derby against Vidit Santosh Gujrathi), Urii Eliseev and Debashis Das. Round 7 top pairings are below. In the Girls section WIM Medina Warda Aulia stunned the top-seeded WGM Alina Kashlinskaya with black pieces to move into the sole lead with 5,5 points. 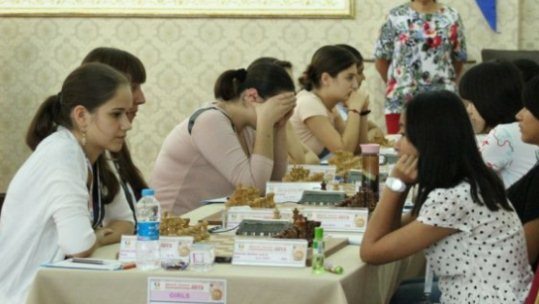 On the second board Irina Bulmaga and 2011 World Junior Champion Deysi Cori drew and Bulmaga remains alone on the second place with 5 points. Round 7 top pairings are below.